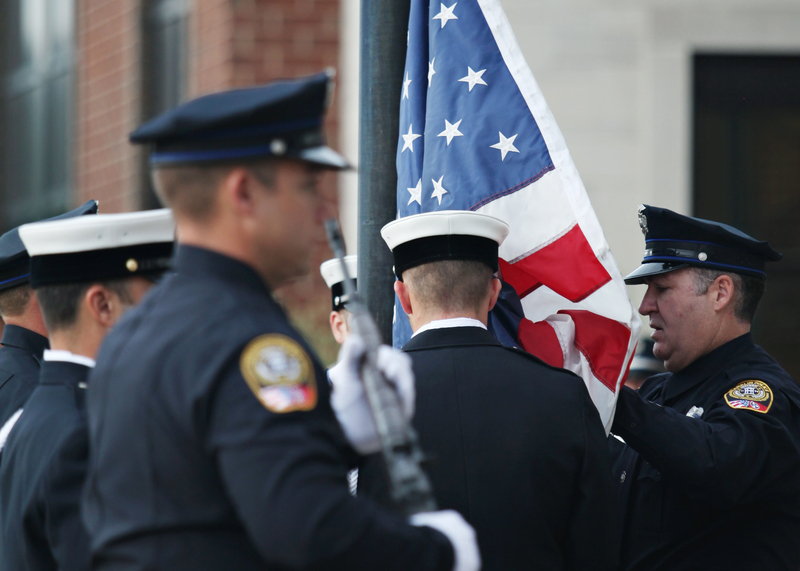 Franklin, TN – Franklin Police Officers and Firefighters encourage the community to join us for a brief Tuesday morning ceremony in remembrance of the nearly 3,000 people who lost their lives during the September 11, 2001 attacks on America. Our special guest, NYPD Officer (Ret) Gary Poggiali will reflect on the NYPD’s response and America’s resilience. Chief Faulkner and Chief Garzarek say this is an important day for police officers and firefighters to come together, and join with the community to remember those lost during such senseless attacks – here at home. “People often search for somewhere to go and reflect on this day,” said Chief Faulkner. “We invite them to do it here, with the men and women who serve and protect Franklin, every day.” Tuesday’s memorial will be brief, lasting no more than 30 minutes.